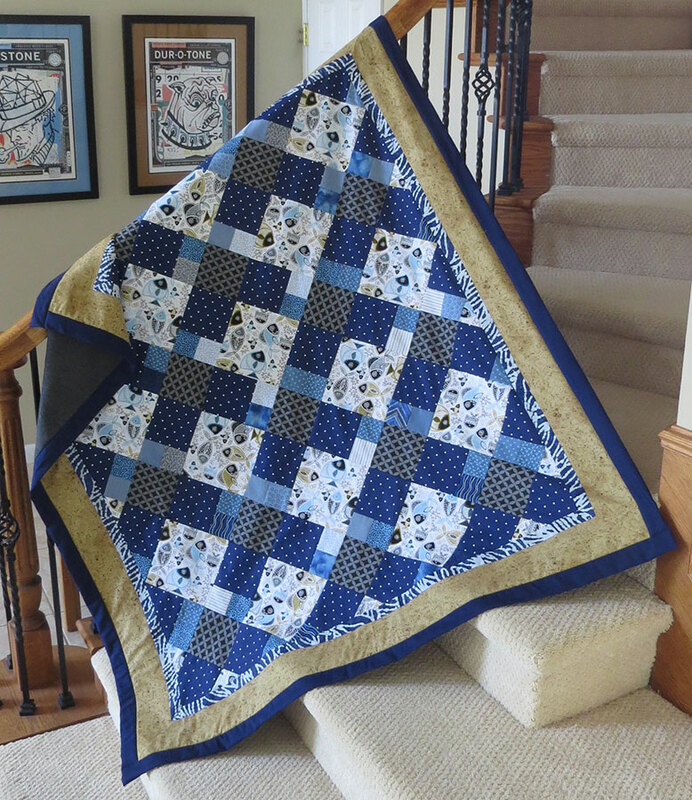 This entry was posted in Quilt Projects and tagged charity, foster, foster kids, quanket, quilt by jeanswenson. Bookmark the permalink. You are such an inspiration! I love your quilts and your tenacity to reduce your scrap bins. Are these patterns you design yourself? I love Swimming Upstream. Thank you for your kind words. I design most of the quilts I make, but not all. My favorite is creating different designs based on the traditional 9-patch, and I really like making medallion quilts since they lend themselves well to more creative freedom. I think part of the reason my scrap bins get to overflowing, is that even though I like the memories that scrap fabrics can bring, I can tire of looking at the same fabric(s), and working with a new fabric inspires me to finish the project quicker, as I am excited to see the end result. I do plan to do an entire scrappy quanket soon!